Hoppstetter’s provides superior office planning, quality new and used furniture, convenient online and offline supply sales, and expert document processing solutions and service. We help you reduce your total procurement costs and simplify your inventory through our exceptional customer service and one-stop shopping philosophy. Still going strong after 65 years in the office products industry, Hoppstetter’s is family-owned, Yuma-based, and ready to become one of your valued partners working towards your success. Chris and Colette Hoppstetter took over the family business in 1991 and have gained the trust and respect of their customers through stellar business practices and a commitment to their community. The Hoppstetter’s team is a well-rounded group of people with exceptional skills to serve you. Meet our team. We look forward to assisting you with all of your office supply, furniture and equipment needs. We’re your Office Solutions Partner. It has been a priority at Hoppstetter’s Office Products to regularly give back to the community we feel so proud to be a part of. One way we do this is to offer the annual John F. Hoppstetter, Sr. $500 scholarship to a student at Arizona Western College. We have also developed long lasting relationships with non-profit, faith-based and healthcare organizations over the years to ensure that they continue to stay in business and serve our community. We understand that without these institutions life would be a lot harder for thousands of people in the Yuma area. To lead by example, our own CEO has committed his time to be on the board at Crossroads Mission. 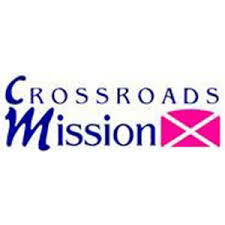 Crossroads Mission is a Christian organization dedicated to helping individuals who find themselves at a “crossroads” in their lives. They offer individualized programs leading to stable employment and independent living. With the help of caring donors they are able to reach out to the chemically dependent, the needy, and the homeless of Yuma County and its surroundings.